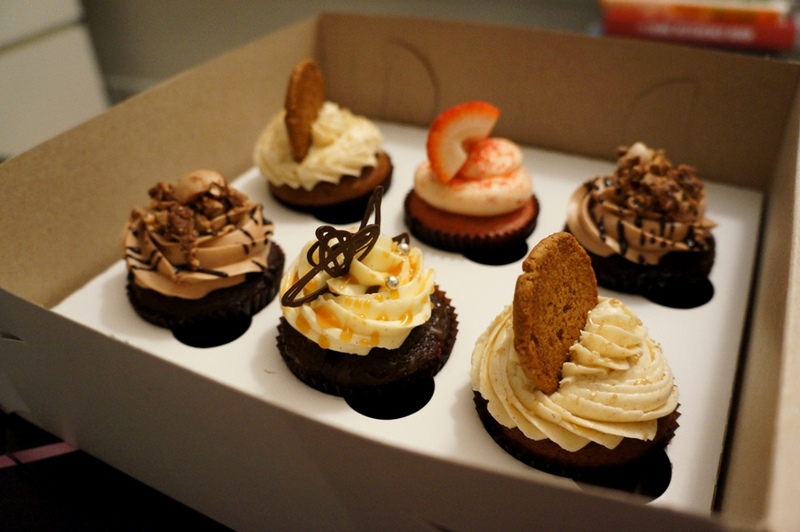 With so many cupcake stores opening up in the city, I think we’ve all felt a bit of cupcake fatigue. But all it takes is one delicious cupcake and all that cupcake fatigue melts away. 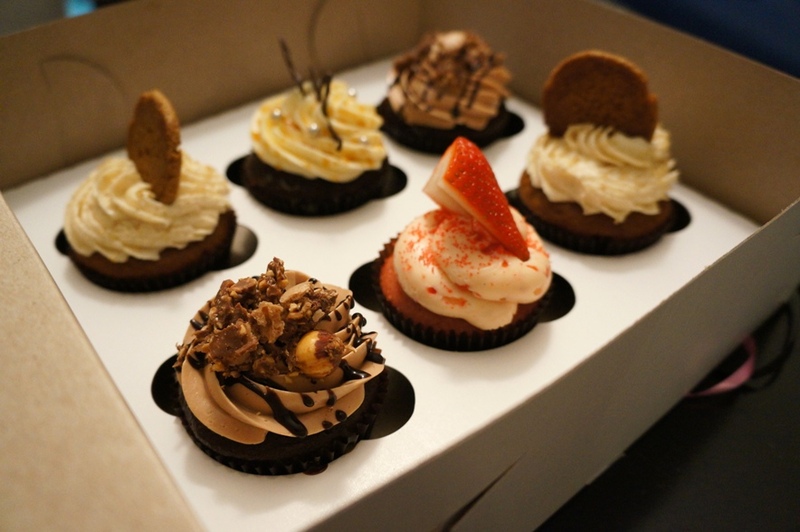 Over the weekend we received a special cupcake delivery from Tania Grafstein-Ho (aka the Sugar Tooth Fairy) and after one bite, I fell in love with cupcakes again. 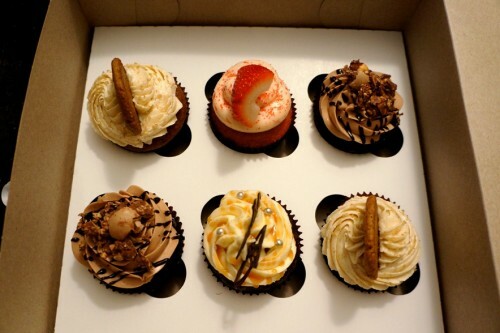 The Sugar Tooth Fairy (@sugar_tfairy) specializes in made-to-order cupcakes which are all made from scratch and are free of chemicals/preservatives – you can definitely taste the difference. While they don’t have a storefront at the moment, they do pick-up and/or delivery across the GTA for a minimum order. 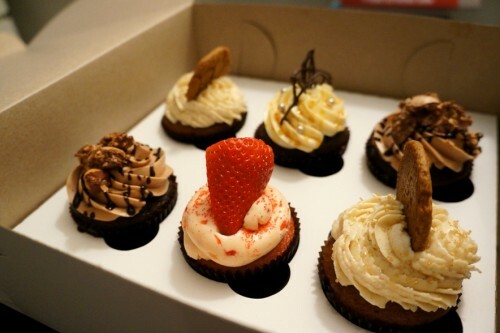 They have an extensive selection of cupcake flavours with playful names like Nuts for Coconuts, Wake Up Call (espresso), Fabulous French Toast and Monkey Business (banana). They also have several limited edition fall flavours including pumpkin spice, chocolate chai and spiced apple. 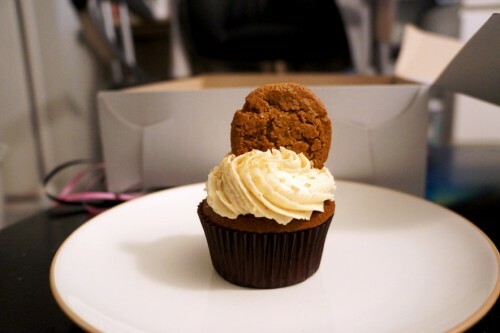 Here’s a look at what we sampled, starting with the Gingerbread Cupcake – spiced gingerbread cake with a gingersnap filling topped with cinnamon cream cheese icing and garnished with a gingersnap. I really enjoyed the moist gingerbread base which tasted a lot like carrot cake. The icing was nice and light and the gingersnap on top was a nice touch. This was Mike’s favourite of the bunch. 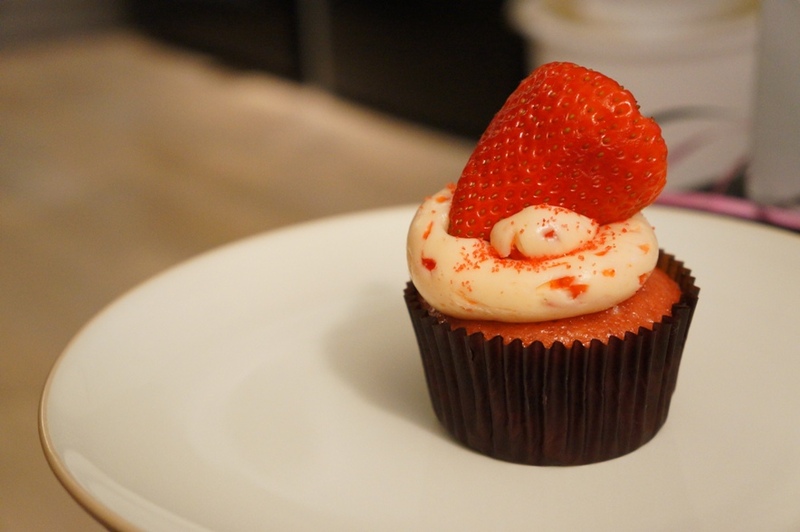 Up next was the Strawberry Fields Forever Cupcake – strawberry-infused cake topped with strawberry buttercream and garnished with a piece of fresh strawberry. The cake was incredibly moist and what I particularly liked about it was the fact that it didn’t taste artificial – it tasted like actual strawberries. 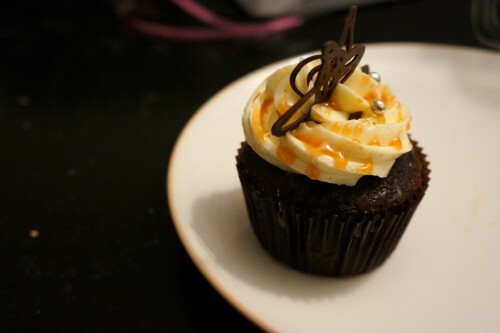 I’m so glad that the Salted Caramel Seduction Cupcake – chocolate cake filled with ganache, topped with caramel buttercream and garnished with sea salt and a chocolate decoration was included in my package. I’m a sucker for salted caramel desserts and this didn’t disappoint. Like all the other cupcakes, it had a wonderfully moist base. 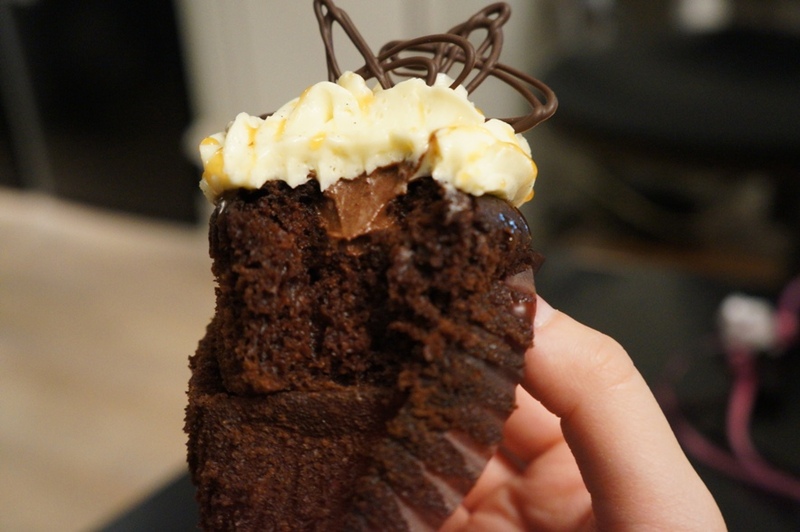 It had a bit of salted caramel filling inside and was topped with a lovely caramel buttercream. Beautiful presentation too! 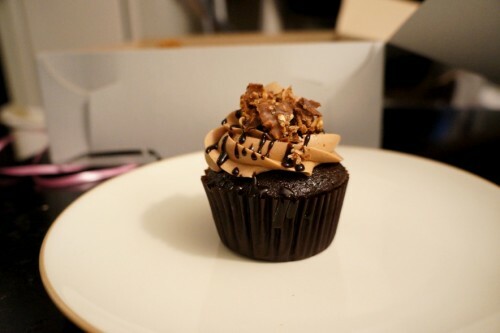 My personal favourite was the Nutella Addiction Cupcake – rich chocolate cake filled with Nutella, topped with hazelnut buttercream and garnished with crushed Ferrero Rocher. It was made with a rich and delicious dark chocolate base. With the hazelnut buttercream, it definitely tasted like Ferrero Rocher (although I’m sure the light sprinkling of crushed Ferror Rocher helped). Needless to say, Mike and I were quite impressed with these cupcakes. If you want a special treat, check out the Sugar Tooth Fairy! I have also been hearing about the Sugar Tooth Fairy, can’t wait to try the cupcakes!